In ORO POS products are also called Items. Misc Items. These items can be created while taking an order. They are not stored in Menu. Open Items. These items are standard menu items. They are prepared and sold without any stock maintenance. One example a store may sell “Cheese Burger”. Inventory Items. These items maintain their own Inventory. “Coke” is purchased and stored. Sometimes in fast store shops, Chicken wings are fried in large quantity and sold. Fig: Product types in ORO POS. We may also define a product by their accounting type. Raw Material. They are ingredients that we use to prepare finished food. Usually, they are not sold directly. Finished Good. They are shown in Menu and customer may purchase them. Both. Some items may be used as an ingredient or may be used as raw materials. Variants. When a large number of products have a common description but they have Size-Color variations with price differences. 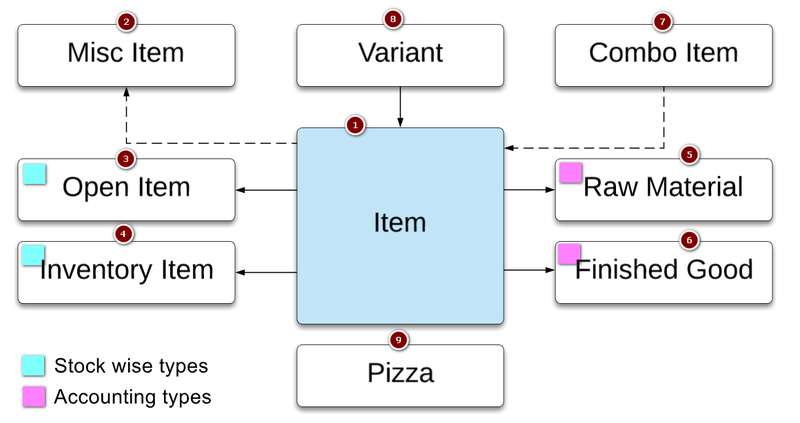 Pizza Items. They are sectional items with own variants like Crust type, Size etc. 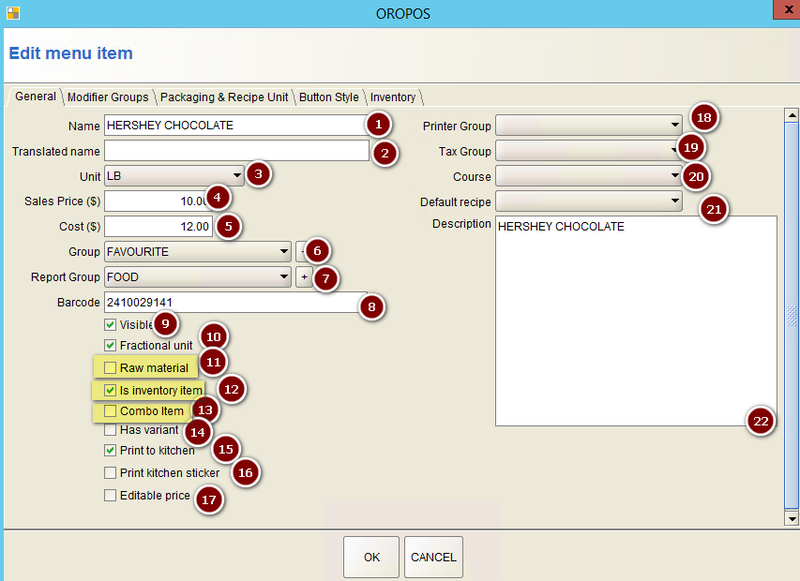 ORO POS item’s price can be Editable, which means cashier can override an item’s price. Raw materials. 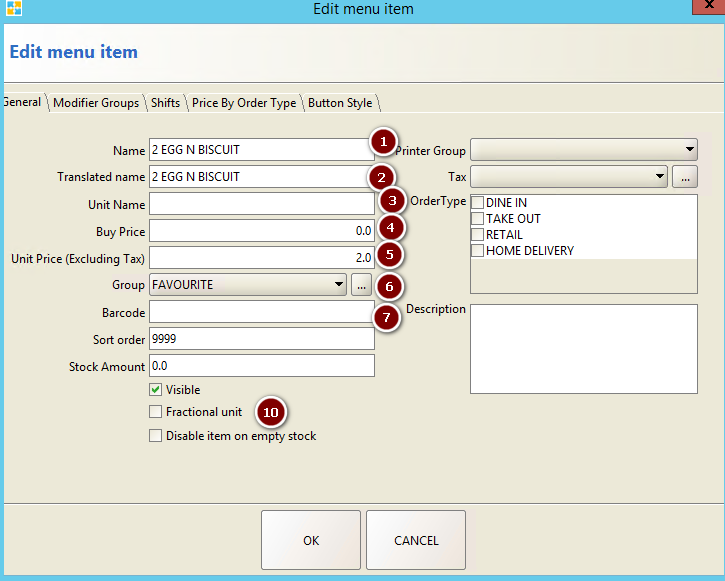 If Inventory plugin is installed it creates a separate table for raw materials. Combo Item. Floreant has no such option. Variants. It does not take care of variants.